Bioware's hit martial arts RPG, Jade Empire is now available for Android devices. The game has been ported to mobile, by Aspyr Media, who have also ported other PC games. 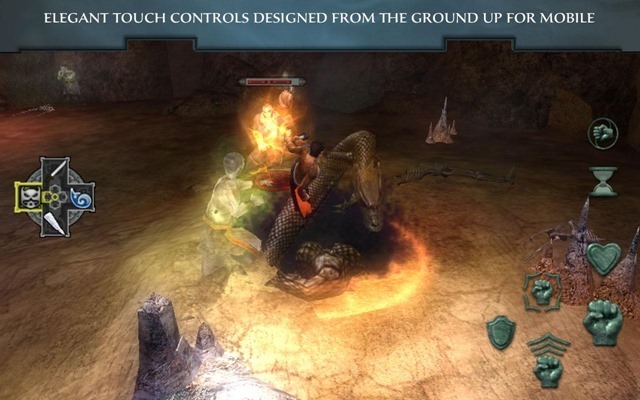 The Android version of Jade Empire: Special Edition features achievements, some additional game content and touch screen controls. Should you want to play the game with a USB or Bluetooth gamepad, you will be happy to know that Jade Empire: Special Edition has full controller support, which is useful for the real-time combat which makes the game a really good and challenging one. If you are a regular reader of Geekiest, chances are you may have the original PC version of Jade Empire: Special Edition, on Electronic Arts' Origin, where it was given away for Free last year. Jade Empire: Special Edition costs $9.99 (Rs.650 in India) on Google Play, which is quite a bit on the expensive side, but it is a true premium game, because there are no IAPs in it.. Also on the bright side, is the fact that the game seems to have a large list of compatible devices including our own Nexus 6, Redmi Note 3 Phones. Be warned though, this is a massive game, at 3.6GB. Note: Jade Empire is also available on the Amazon Appstore for the same price. Speaking of which, you can pick up Star Wars: KOTOR, also ported by Aspyr. for free, as part of the Amazon Underground apps promo.